Last week, Code.org used the AWS Cloud to host the 2016 Hour of Code event, which brought coding exercises to classrooms around the world. Tens of millions of children worldwide tried coding through Code.org’s tutorials and lessons. These self-guided lessons allowed students to work at their own pace and skill-level using themes like Angry Birds, Frozen, and Minecraft. This year, Canadian Prime Minister Justin Trudeau kicked off the week by doing Hour of Code with a group of students in Ottawa. From government officials, such as the Prime Minister and New York City’s Chief Digital Officer, to athletes and celebrities, people united to bring computer science training to the classroom. Hour of Code also drives diversity in tech and computer science with close to 50% participation by girls and heavy participation by underrepresented minorities. 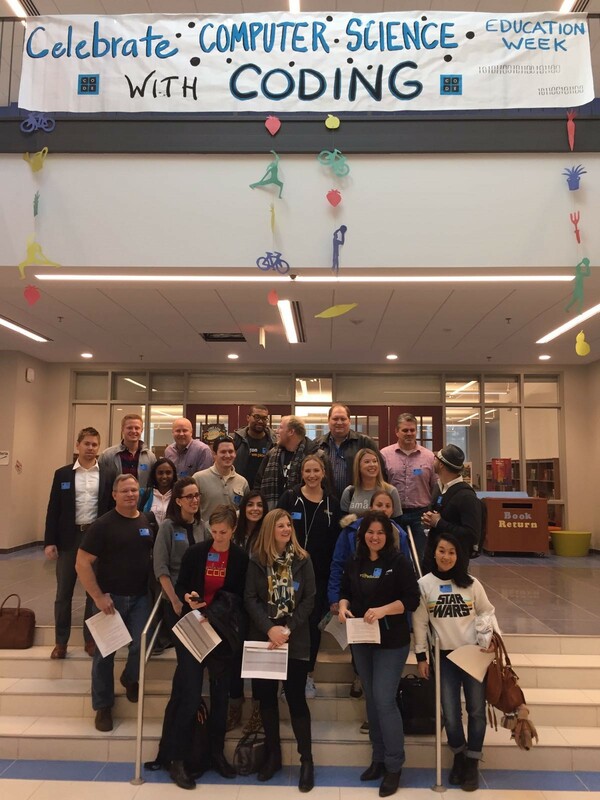 In Washington, D.C, AWS employees visited Lafayette Elementary School, the largest public elementary school in D.C. 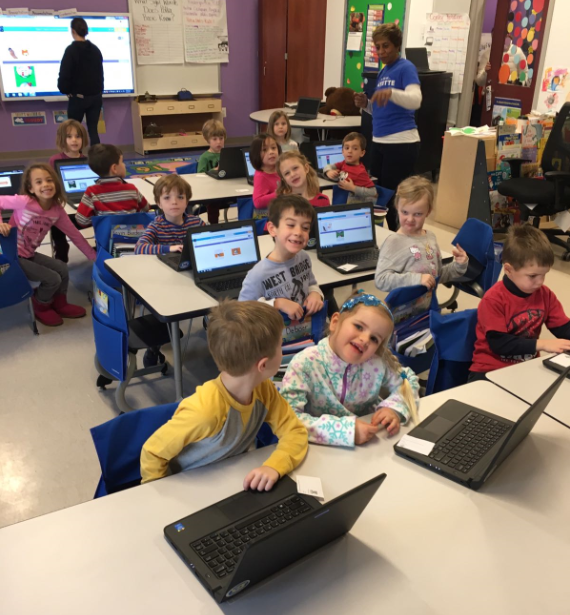 The volunteers helped every class in the school, from kindergarten to fifth grade, participate in the Hour of Code for the second year in a row. Working with the students, we saw kids approach the exercises timidly but end the hour saying, “We love coding!” they did not want to put their computers away. To prepare for the high scale traffic for the largest learning event in history, Code.org scaled up its website and Code Studio product to massive scale using AWS infrastructure and features. Hour of Code 2016 ran on over 4,600 compute cores and served nearly half a petabyte of data to tens of millions of students and teachers worldwide. “We had zero site outages or problems – everything ran perfectly. All the help from the AWS team was instrumental in our operational success,” said Jeremy Stone, Chief Technology Officer, Code.org. Check out this infographic for more stats about how the AWS Cloud helps the Hour of Code with massive scaling, elastic demand, and secure student data. We enjoyed getting into the classroom and meeting some future AWS Solutions Architects!